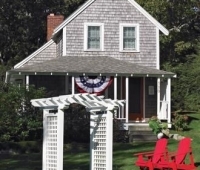 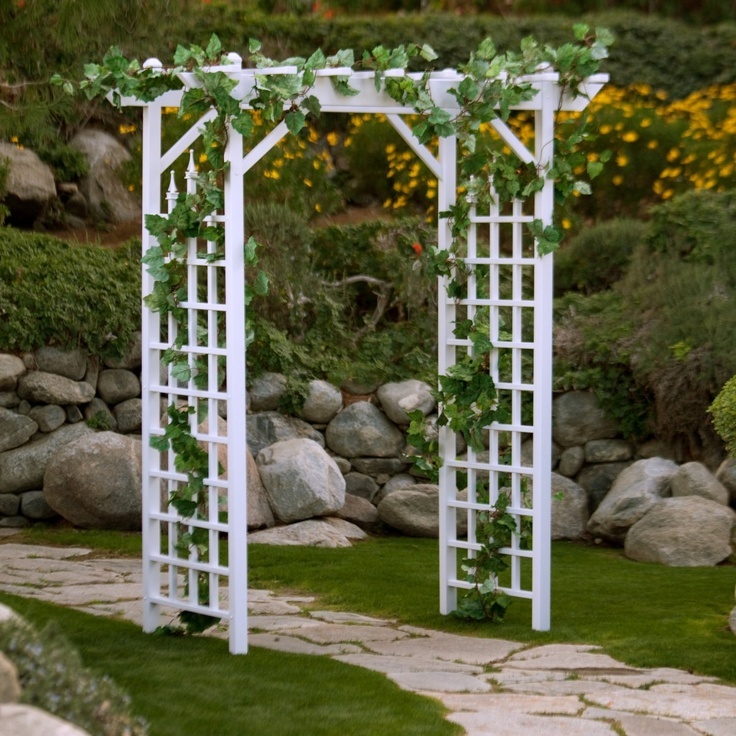 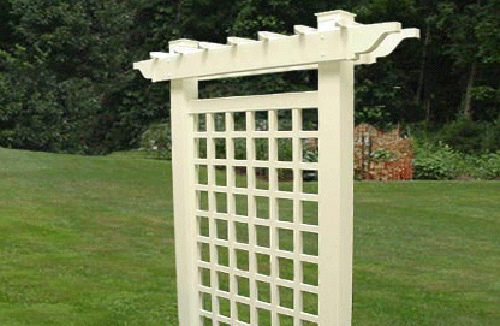 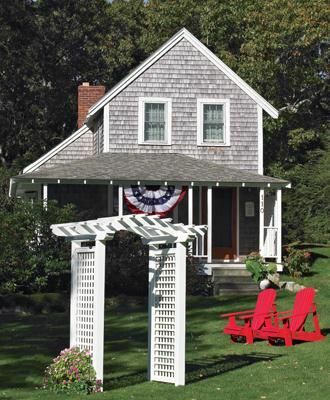 PVC/Vinyl Arbors & Pergolas add such a unique and whimsical touch to any yard, garden or fence line. 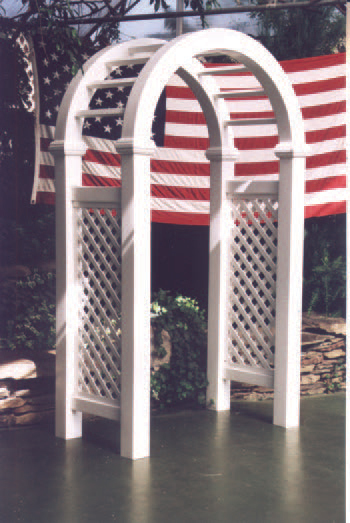 Select from the beautiful PVC/Vinyl options we have available. 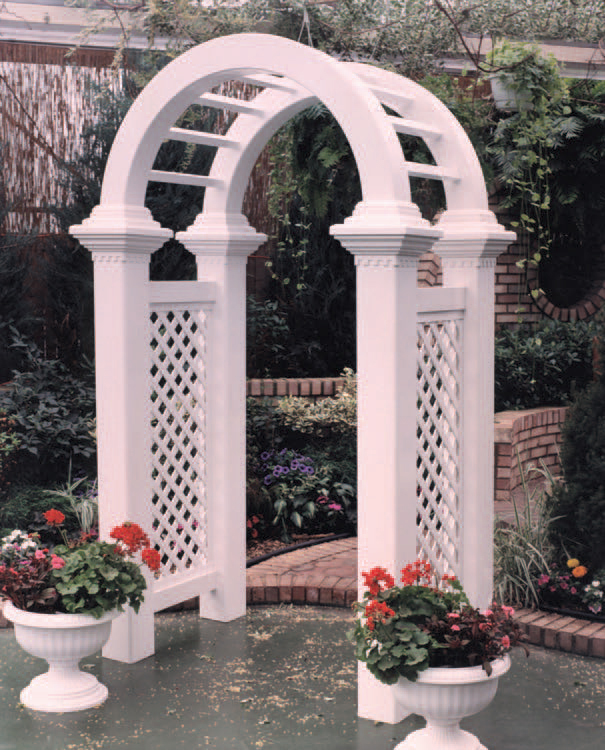 Enhance any property with the timeless beauty of PVC/Vinyl Arbors. 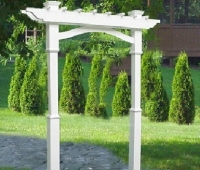 They are maintenance-free and available in several styles and sizes to meet any need and budget. 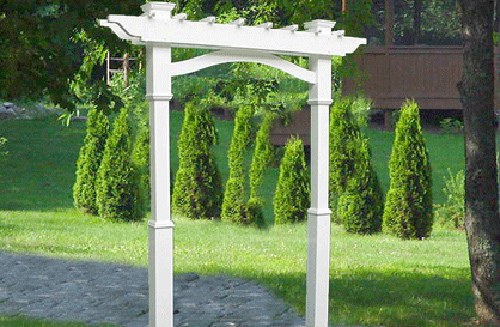 PVC/Vinyl Arbors are available as a complete kit and include easy-to-follow instructions. 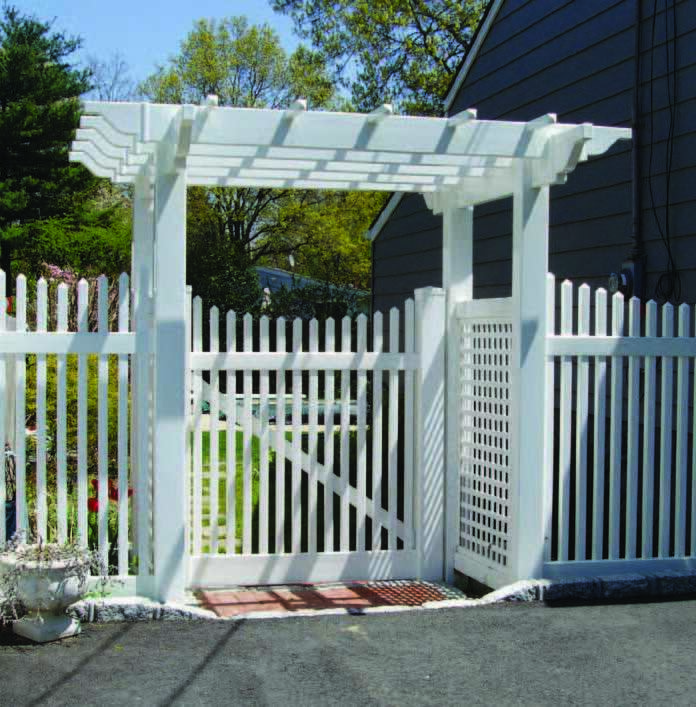 We offer them in white, tan and gray. 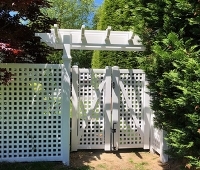 Some modifications are available. 4” thick arch atop 4” posts. 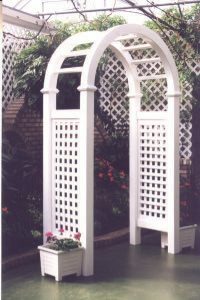 5” thick arch atop 5” posts. 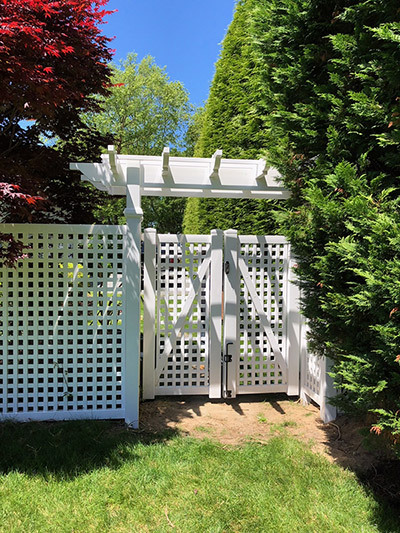 With our Paramount Arbors, we’ve combined gorgeous collars, as shown below, featuring dentil molding with a 5” x 5” arch and 6-1/2” posts. 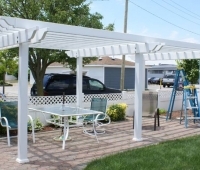 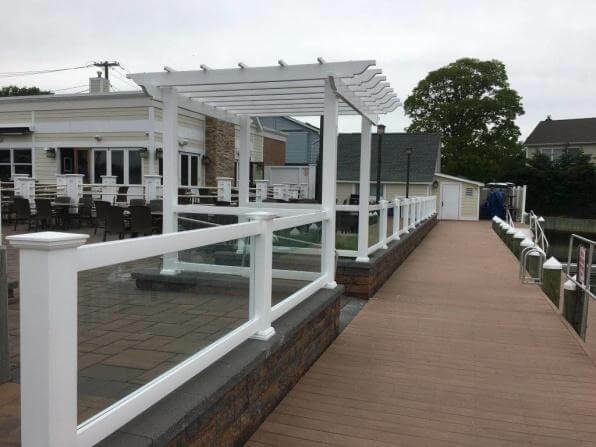 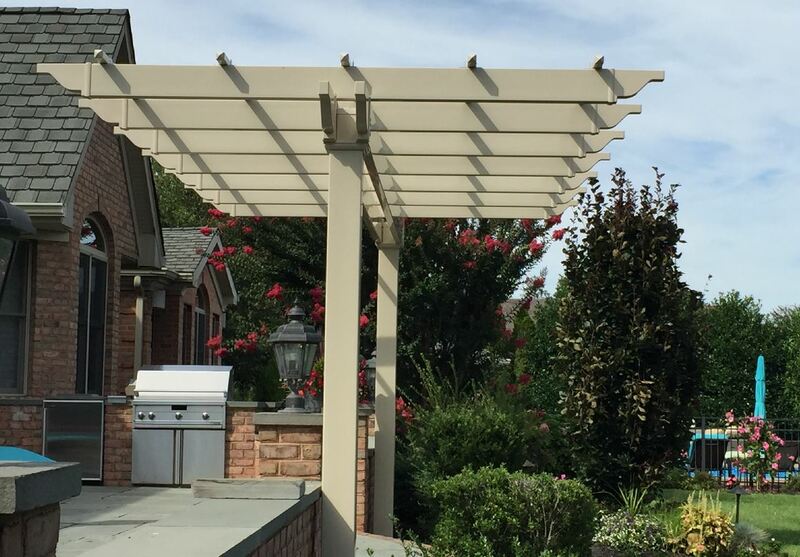 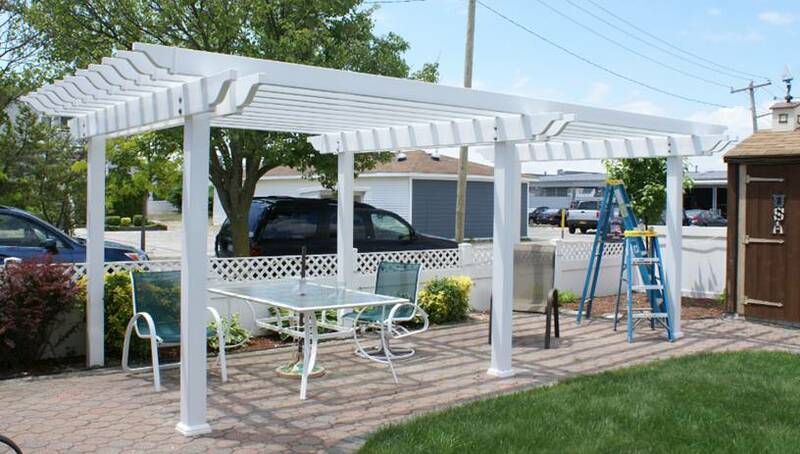 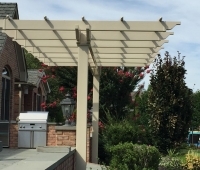 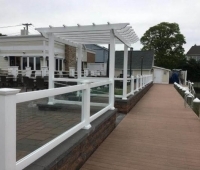 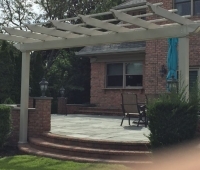 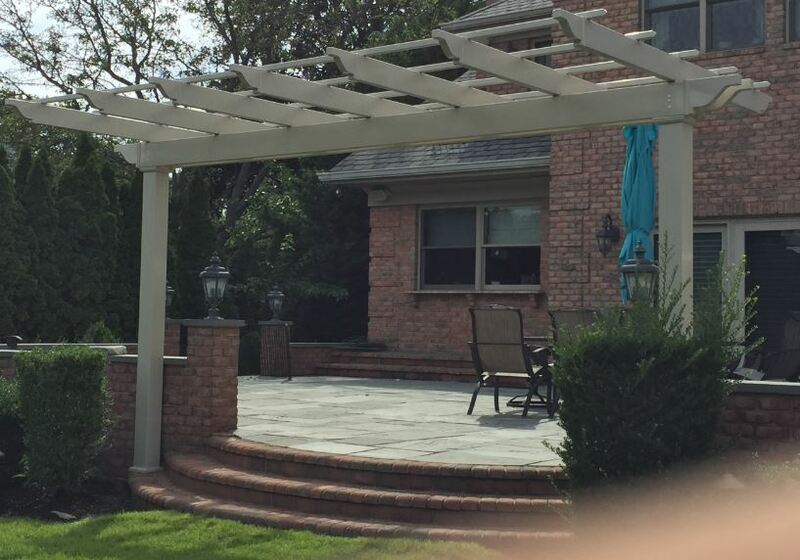 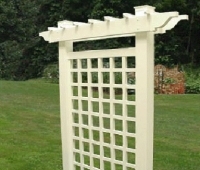 Enhance any property with a stunning, unique and virtually maintenance-free PVC/Vinyl Pergola. 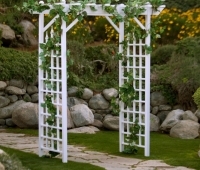 These look great alone, as a garden entry, or as the centerpiece in a fence line. 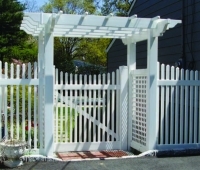 Add a gate from our Resort Line of PVC/Vinyl Designer Gates for that extra-special touch!